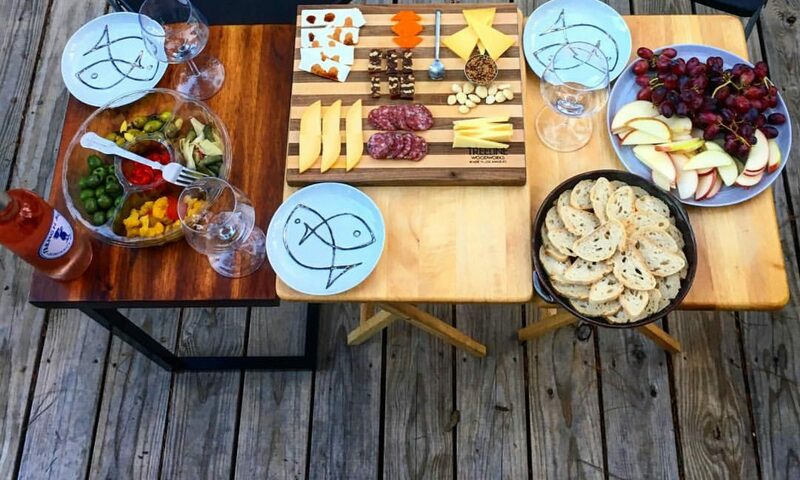 Being a long-time fan of Jamie Oliver, I was excited when he published an iPad app. The recipe packs for the app being on sale was an added plus. 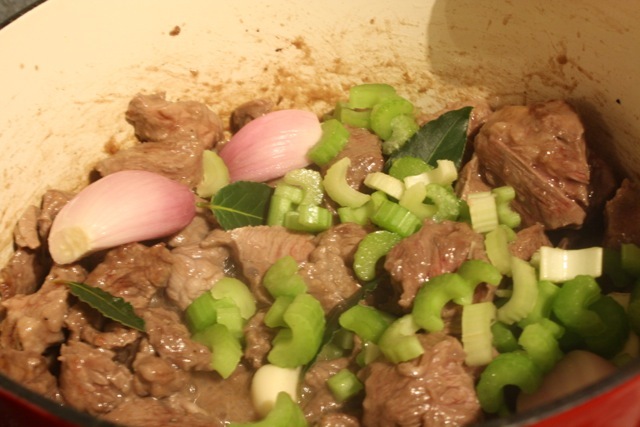 In the Fast Food, Slow-Cooking recipe pack is a recipe for Beef and Guinness Stew with Dumplings. I used Jill leaving town for a long weekend to volunteer at Camp Boggy Creek as an opportunity to make this delicious beef-filled dinner. 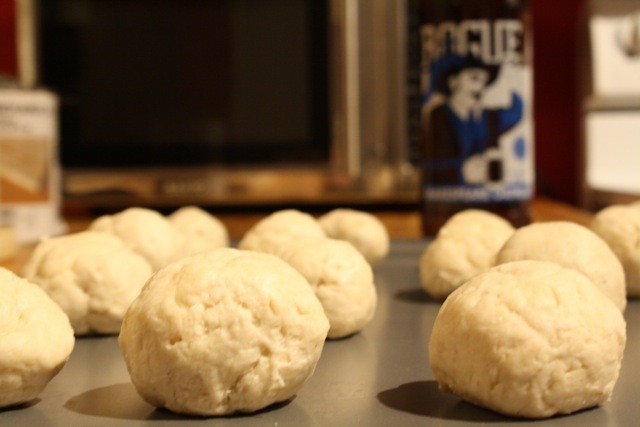 Although the recipe calls for Guinness, I decided to give it an American twist by using Shakespeare Oatmeal Stout from Rogue Ales in Newport, Oregon. 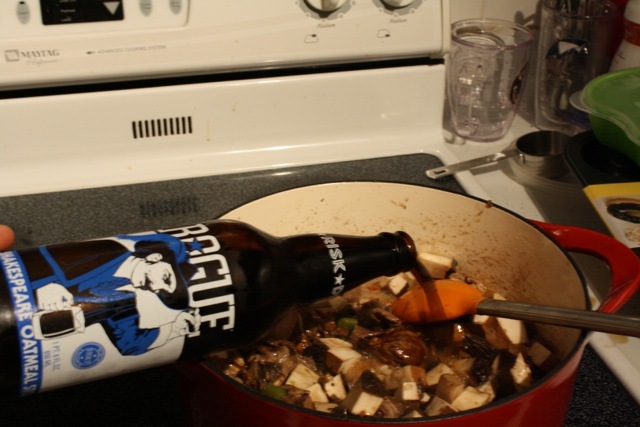 I think Rogue Shakespeare is creamier and more chocolatey than Guinness, so I felt it would provide for a richer stew. The part of this recipe that I looked forward to the most (perhaps even more than the beef) was the dumplings. I would usually serve beef stew with either rice or mashed potatoes, but the dumplings provided a nice change. 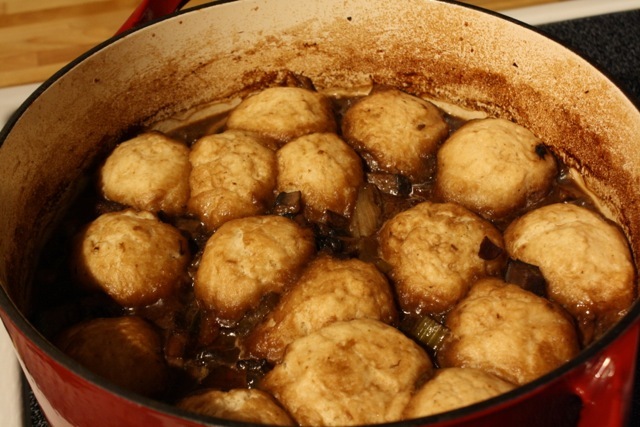 Despite being cooked in the stew, the dumplings were light, delicate, and not at all soggy. The beef stew cooking filled the house with the most amazing aroma. I was pacing back and forth in the kitchen for two hours, waiting for the stew to finish cooking. If the Yankee Candle Company decided to make candle with the scent of this stew, I would buy it and burn it everyday. Although I wanted to give in and pull the stew out early to eat, I am glad I waited the full two hours. The thick, hearty stew had a robust stout flavor with tender hunks of beef, velvety portobello mushrooms, and tender dumplings. 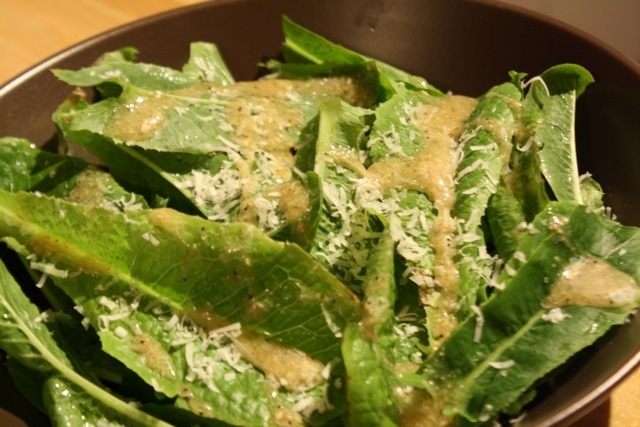 To complement dinner, I threw together a quick salad with romaine lettuce from my garden. Although I missed Jill while she was out of town, I am glad I had this comfort food (with several meals worth of leftovers) to keep me full while she was gone.